Together we will learn, share ideas and successes, give and get advice, resolve issues and inspire each other. Explore and use the capabilities of Art & Stitch to create quilting designs. 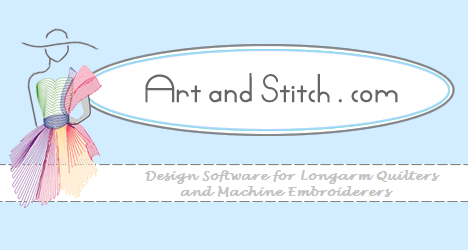 Art & Stitch is compatible with Handi Quilter ProStitcher, Bernina Q-Matic, PCIntelliQuilter, PC Quilter, Statler Stitcher, Side Saddle, Quilt EZ, and QBOT HPGL.